The success of the Eritrean Muslims Council (EMC) is directly attributed to the synergy of its board members, local communities (EMAs), committee leaders and its volunteers. The EMC board, made entirely of volunteers, is dedicated to the organization’s vision of empowering Eritrean Muslims. The EMAs facilitate the local activities of the organization. Committee leaders facilitate the projects. 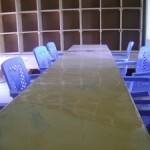 Lastly, but certainly not the least, the volunteers help the organization execute on the projects and initiatives. It take a lot of work to get things done, but subhanallah, our members do a fabulous job! 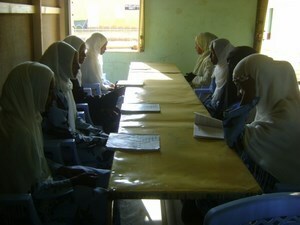 The EMC Women’s group holds a monthly halaqa in the Tigrinya language. Via teleconference members join to listen to spiritually uplifting kutbas on topics such as “Hassad” and “Taking Care of Your Health – an Islamic Perspective.” This is one of the most successful projects out EMC and has garnered participation from members in the UK and Australia. 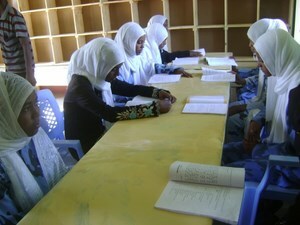 The EMC Scholarship Fund aims to celebrate academic excellence and community service among young Eritrean Muslims. Since it’s initiation into the EMC programming and services, it has expanded to include both college and high school students eligible for consideration through a competitive application process, and selected by a team of young EMC professionals and academics. To date, EMC has supported 20 students through the scholarship program, and looks towards the community to continue to donate and contribute to our scholarship fund. The EMC Campaign for College has been around since 2011 when EMC college students, graduates, and young professionals in the field of education came together to resource build and assist high school and community college students in the application process to four year universities. This has been done through outreach at the annual conference as well as virtual resource banks, mentorship, and education. Most significantly, the campaign for college has hosted multiple webinars throughout the year to prepare students for the application process, financial aid, and transitioning into college. 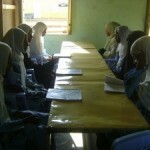 In 2013, a health clinic at a high school in a Segerab Refugee Camp began providing preventative care and health education services to young girls. Partnered with Araha, the organization that is “on the ground,” EMC donated clinic supplies and funds to hire a nurse. 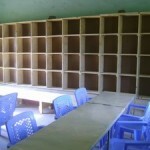 Library was built by “Kind Hearts” for the Segerab High School, with the coordination of EMC through Araha. Books were donated by EMC. To date 500 books have been donated by EMC. 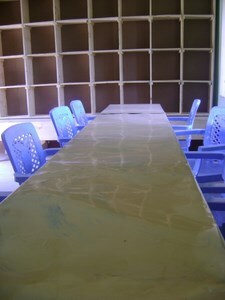 Future plans include donating computers and printers to make it a fully functioning library for the students and community. This committee is responsible for raising monies dedicated to the financial stability of the organization by engaging the greater community in planning and implementation of fundraising initiatives for specific EMC projects. This committee is responsible for planning and implementing the annual EMC convention, which includes fostering a long-term partnership with the host community. The annual gathering of members provides opportunities for members from different EMAs to meet nurtures the building of a strong Eritrean Muslim community. This committee is responsible for programs and initiatives aimed toward the overall social and economic empowerment of local EMA communities, and the strategic alliance with the global Eritrean Muslim network. This committee is responsible for managing all media aspects to organizational success, including website management, IT troubleshooting, email distribution list, facebook groups and newsletters. 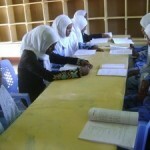 This committee is responsible for developing and implementing strategies to empower Eritrean Muslims educationally. Includes the campaign for college and the EMC Scholarship. This committee is responsible for advancing Islamic education in our communities and promoting access to Islamic literature in Eritrean languages. This committee is responsible for preparing Eritrean Muslims for careers in industry; through networking, information workshops, personalized coaching and facilitating awareness and access to professional internships and vocations. This committee is responsible for facilitating opportunities for Eritrean Muslims who are seeking a spouse to me. Activities include an event at the annual convention and maintenance of the matrimonial website. This committee focuses on contributing activities and events centered around health and well being. The group leads the annual health fair, provides workshops and advice centered around healthy living. They also provide networking opportunities for those in health related professions. This committee is responsible for cultivating a community inspired and involved in the production, consumption and recognition of arts and culture. Empowerment through artistic expression will create the necessary spaces to facilitate cross-generational understanding. It is an attempt to strengthen the Eritrean Muslim identity, and share it with other. This committee is responsible for facilitating the empowerment of Eritrean Muslim women and overseeing the creation of a Young Women of EMC group in collaboration with an EMC youth board representative. EMC strives to empower local communities. EMC members live across the United States and Canada. A focus is to empower and connect local communities despite the challenges posed by communities being separated by distance. EMC encourages the educational progression of its community members. Activates focused on educational development include the EMC Scholarship Fund and the EMC Learning Institute (LI), a distance learning institute. The women’s group is a space for women to share their experiences, support each other and build their capacity in the wider community. Women of different ages come together to develop their own projects of interest and ensure there is diverse representation in EMC activities and leadership. The youth group is aimed at providing younger EMC members opportunities for leadership and mentorship. Developing the youth is important to EMC in order to provide a pathway to success and allow them to connect with each other. We also strive to bridge the communication gap that often emerges between parents and their children. 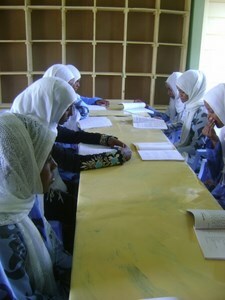 Contributing to humanitarian aid and relief efforts, particularly to Eritrean refugees, is a critical component of EMC. As members of the Eritrean diaspora, we seek to use our skills, resources, time and energy to help our fellow Eritreans in need. 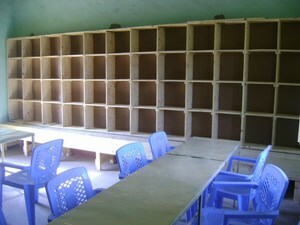 Communities and individuals have fundraised for special projects like schools, libraries, and well digging.